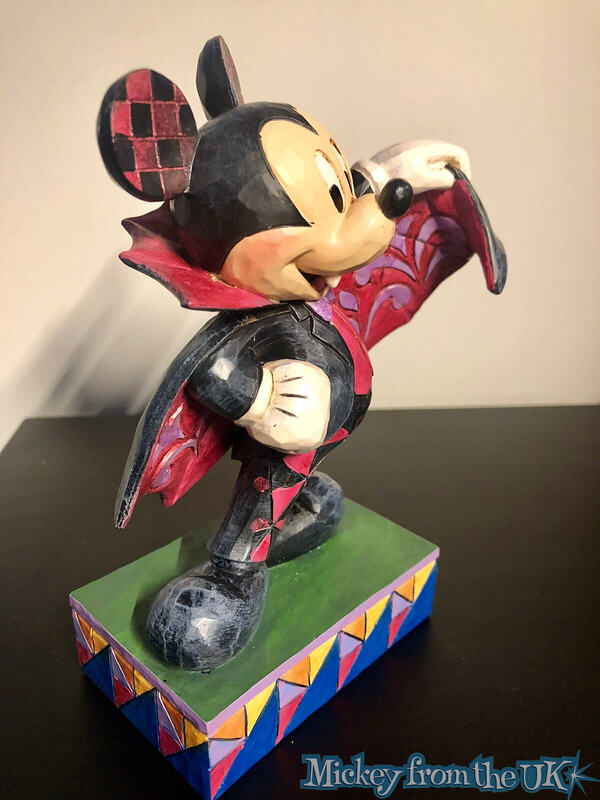 We share and review the Jim Shore Disney tradition figurine of Mickey Mouse as a vampire: Colourful Count. 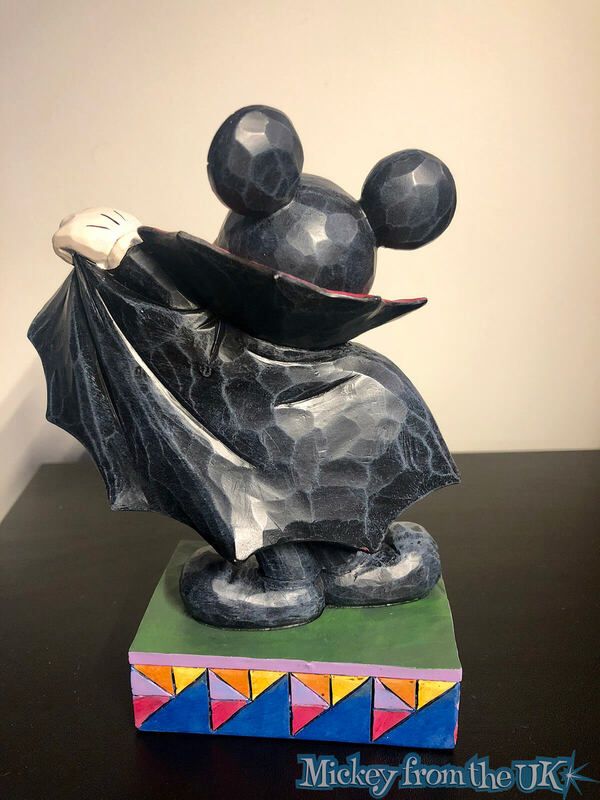 As a creator of vampire games myself, when Mickey and vampires meet, it gets me even more excited. 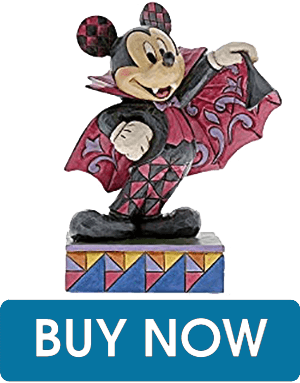 This Jim Shore Disney Traditions Mickey Mouse figurine is called "Colourful Count". 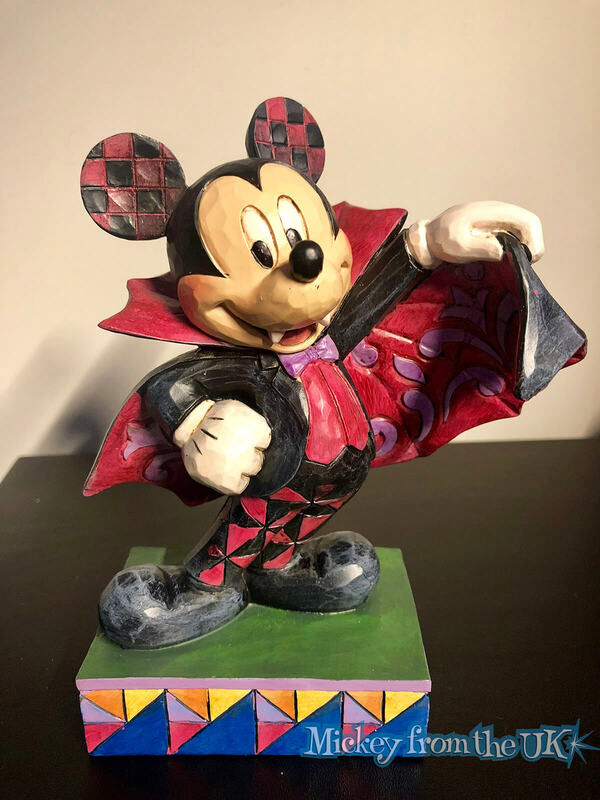 It's Mickey Mouse dressed as a vampire. 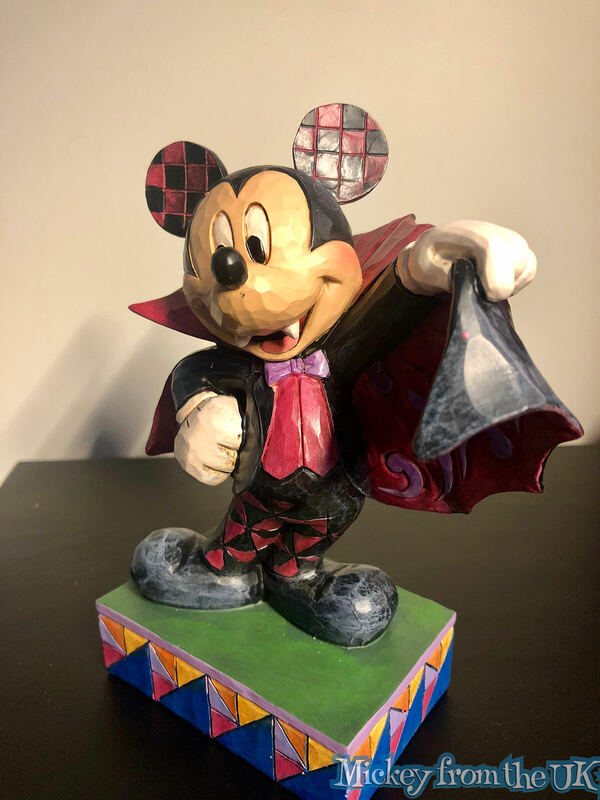 It is new for the 2018 Halloween season and he is a really great to addition to the collection. Black and red are my two favourite colours together and it's done really well on this figurine. I really like the different patterns used across the whole sculpture. With square designs on his ears, to triangles on his trousers. Mickey has a creepy yet innocent expression on his face with his little fangs. The little purple bow tie really finishes it off nicely. Even though the base doesn't match the overal aesthetic of the vampire theme, I really like it. The cape is really well designed and his pose with it is just perfect.